Setting Up Your Wakesurf Wave 101 – This video is for when you are first getting started and goes through the basics of how to create a great surf wave that anyone will be able to jump on and enjoy. Check out this video that we made that details how we go about setting up a wakeboard wake for a beginner, intermediate and advanced level riders. Let us know if you have any questions at all! Recently we had the opportunity to run some tests and shoot some video with a Malibu MXZ that we took on trade and see how it compared against boats in our Centurion lineup. In this video we test the ballast fill times for the Centurion Ri237 and the Malibu 24MXZ and see how they compare as well as give details on the ballast systems. 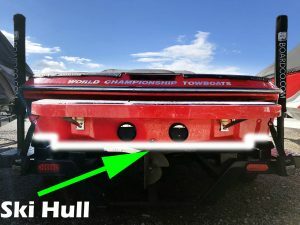 There were a number of people that were concerned that the information wasn’t valid because the Malibu MXZ we used in the video was a 2016 model and the 2017 model changed both the hull and the drivetrain of the boat. As you can imagine, getting current model boats to do this kind of testing is difficult, REALLY difficult. We made the offer to run our fuel flow rate Diacom test on any manufacturer’s current model year towboat, but had no takers. Centurion vs Malibu vs Nautique – Power and Performance – Do you need a Supercharged Engine? Comments Off on Centurion vs Malibu vs Nautique – Power and Performance – Do you need a Supercharged Engine? 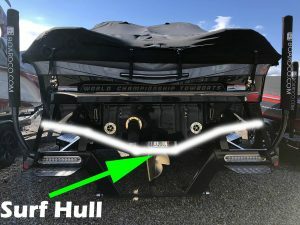 This post is part 2 in our video series that takes a direct look at the Centurion Opti-V Hull and how it compares to it’s two major competing boats on the Market – a Malibu 24 MXZ and a Nautique G23. If you’ve spent much time looking on our website or poking around online you’ve probably come across some pretty unbelievable information about the new Centurion Opti-V Hull. We made this video because the claims about the Opti-V hull are exactly that – almost “Unbelievable”. I mean, come on… 50% better fuel efficiency? A better wakeboard wake than the best wakeboard boats on the market? Faster acceleration than a flat bottom boat? Yes, and this is where we prove it. The Fi23 – The all new Centurion Fi23 is a 23 foot wake and surf machine that delivers incredible performance at an even more incredible value. The Fi23 is a beautiful 23 foot boat that features aggressive lines and contours that can only be achieved with Centurion’s unique Vacuum Infusion Process technology. You haven’t seen anything like this boat before and it is the perfect boat if you are looking to maximize your value and still get the best wakes and waves available on any boat in the world.